The Samuel Waxman Cancer Research Foundation (SWCRF) celebrated the 21st Anniversary of the annual Collaborating for a Cure Benefit Dinner & Auction at Cipriani Wall Street, featuring an exclusive musical performance by Dawes. The annual gala raised approximately $2.5 million to support the SWCRF “Invest in Research” efforts that fund highly collaborative research projects focused on eradicating cancer. 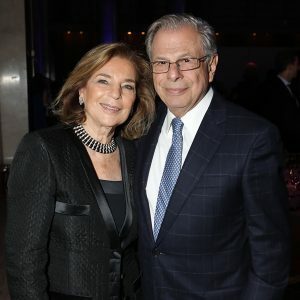 The Collaborating for a Cure gala was well-attended, undeterred by the snow storm and 14 other fundraising events taking place throughout New York City. Proudly, the 21st Anniversary’s gala seating encompassed 80% personal purchases and 20% purchases from corporations, whereas the other 14 fundraising events saw a turnout comprised of 20% personal purchases and 80% corporate purchases. Notable attendees included Marion Waxman, Dr. Samuel Waxman, Elin Nierenberg, Michael Nierenberg Chris Wragge, William T. Sullivan, Dawes, Robin Lathrop, Richard Volpe, Christian Volpe, Alison Volpe, Dena K. Weiner, Howard Kurz, James E. Frankel, Jody Gorin, Allie Gorin, Karen Amster-Young, Benjamin Young, Lewis A. Rubin, Joe Steffa, Sara Waxman, Bettina Waxman, Spencer Waxman, Scott Waxman, Joe Ades, Ten Travis, Hugh Hildesley, Julie Waxman, Lucy Salas, Elissa Held, Jamie Koff, Alyssa Greenberg, Samantha Santiago, Stokes Nielson, Ryan Bier and Corbette Jackson. After a lively cocktail reception and silent auction, SWCRF Collaborating for a Cure Gala host Michael Nierenberg greeted the foundation’s board, staff, and the evening’s guests with a warm welcome graciously outlining over 20 years of giving and continued support from the organization’s donors. From the CBS 2 News studio, co-anchor Chris Wragge emerged on screen to introduce SWCRF founder and CEO Dr. Samuel Waxman to the stage. Chris Wragge was the evening’s virtual host, appearing on screen to help the evening’s program run smoothly. Greeting the room of distinguished guests, Dr. Waxman acknowledged their efforts trekking through New York City’s winter storm in true altruistic spirit. Detailing the Foundation’s major achievements, he highlights advancements in cancers involving the liver, breast, leukemia, pediatric and lung. The SWCRF has seen great momentum since officially launching the Partnerships for Aging and Cancer Research program, a collaboration with the National Cancer Institute and the National Institute on Aging which is spearheading research to uncover the links between cancers. Research funded by the program studied the environmental and genetic factors that increase the risk of cancer as people age. With a formidable but truly feasible goal of building a $32 million fund, Dr. Waxman humbly invited donors continued support. Taking the stage, SWCRF Executive Director William T. Sullivan instructed gala guests on how to Text to Pledge, using the mobile fundraising program which enables guests to text their donations. Each texted donation was accompanied by messages of encouragement and celebration that appeared, in real-time, on large screens throughout the evening, the first of them being a $5,000 gift, “In honor of Michael Nierenberg” from Thomas Shea. Keeping up the momentum, the evening’s live auction, led by Hugh Hildesley, Executive Vice President of Sotheby’s, featured luxury items and experiences including: a Palm Bay Italy Winery experience including a six-day stay for four guests which raised $20,000; two house seats to “Springsteen on Broadway” raised $14,000; also Restaurateur Donna Lennard of il Buco Vita welcomes 10-14 guests for an intimate six-course dinner at the home décor showroom, raising $11,000. Other auction items included a Cockapoo Puppy (winning bid of $7,000), a shopping spree at John Varvatos SoHo Boutique (winning bid of $4,000) and a meet-and-greet with the evening’s musical guests, Dawes, who also autographed a guitar for the lucky winner (winning bid of $3,500). The money raised in support of cancer research at the Samuel Waxman Cancer Research Foundation’s Institute Without Walls and Aging and Cancer Programs have made significant breakthroughs, including identifying pathways to deliver novel therapies to treat cancer. 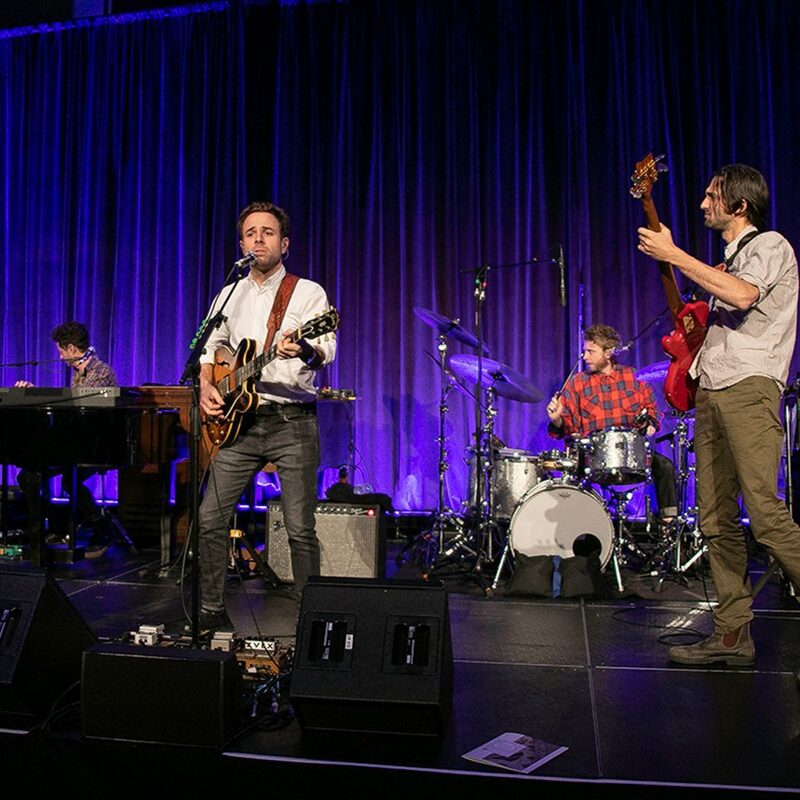 The Collaborating for a Cure gala is among the top fundraising events in New York City, and this year featured an exclusive headline performance from the rock band, Dawes – the only NYC stop as part of their North American tour. With ‘An Evening With DAWES: Passwords Tour’ well on its way, Dawes made an exclusive stop at the gala in honor of the Samuel Waxman Cancer Research Foundation. The Collaborating for a Cure gala, affectionately known as “The Waxman”, has raised millions of dollars to support the Foundation’s research efforts to produce a cure for cancer. Since 1976, the Samuel Waxman Cancer Research Foundation has awarded approximately $90 million to support the work of more than 200 researchers around the globe. Past celebrity performers have included The Avett Brothers, Ziggy Marley, Train, Peter Frampton, Gregg Allman, Kid Rock, Steely Dan, Glenn Frey, Joe Walsh, Sheryl Crow, John Fogerty, Roger Daltrey, and Counting Crows.